This is Blue. 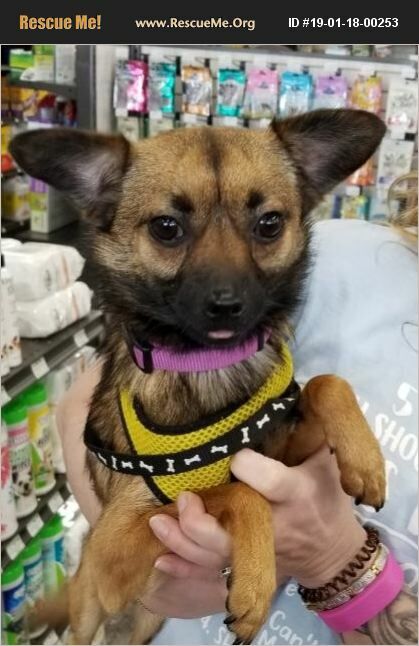 He's a happy healthy playful 1 year old chihuahua mix. Blue was surrendered by his owner who felt they just didn't have time for him anymore and wanted him to go to a home where he would get more attention. He loves to play with other dogs and would do best in a home with a playmate and an active family with a fenced yard. Blue was recently adopted but returned when he proved too playful for the existing family dog so he needs to be in a home where the other dog is young enough to still want to play. He has not been kid or cat tested but is young so we think he would enjoy chasing balls and toys with his family. He is doing great with housebreaking because he's a very smart guy and catches on quickly. He weighs 8 pounds and is Heartworm negative and up to date on all his shots. All he needs now is a new family!